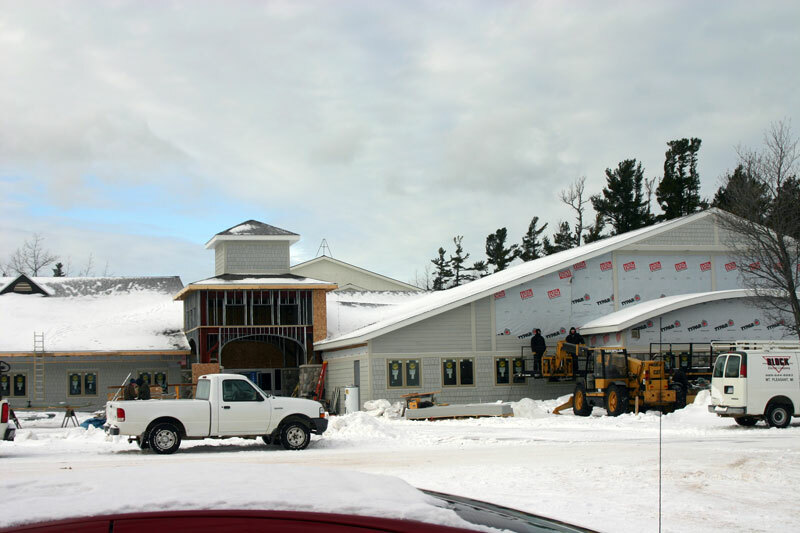 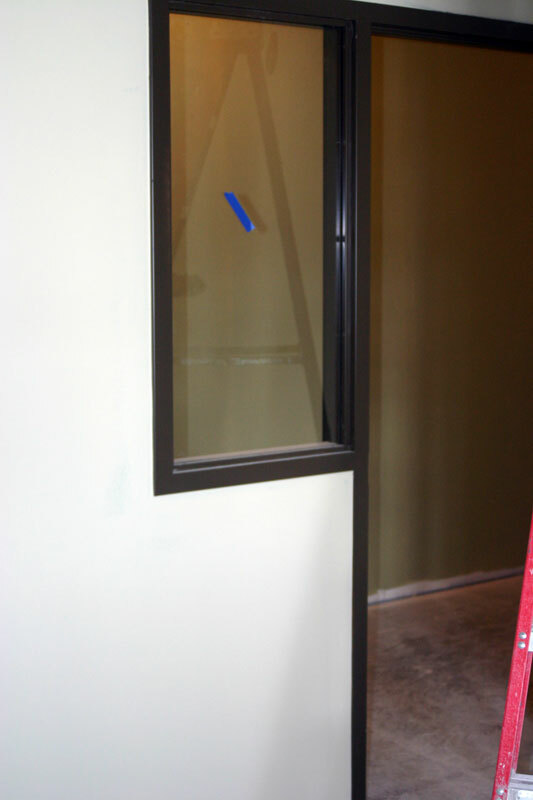 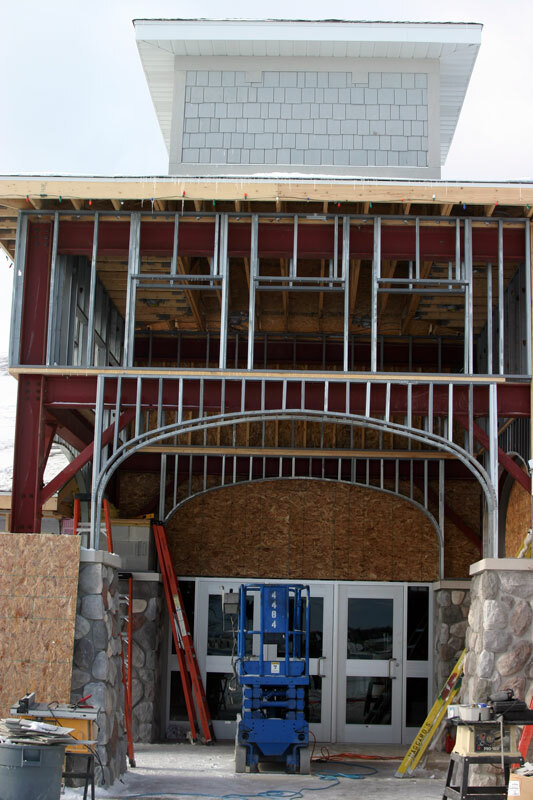 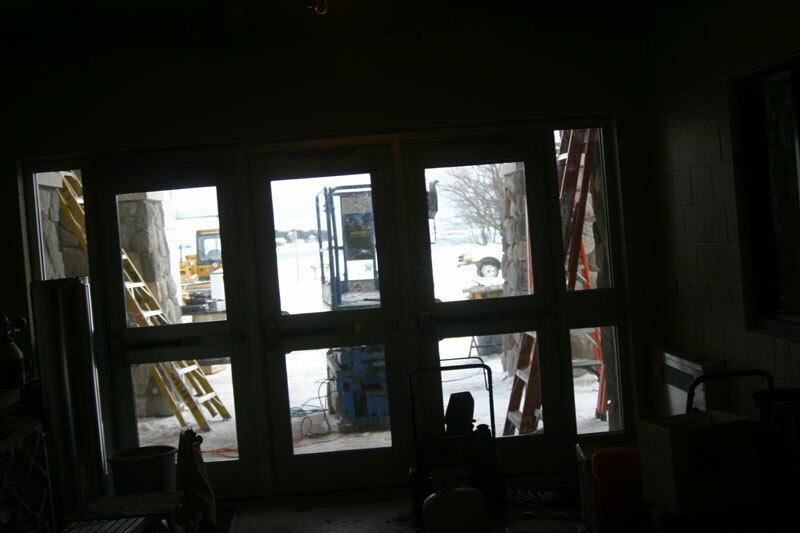 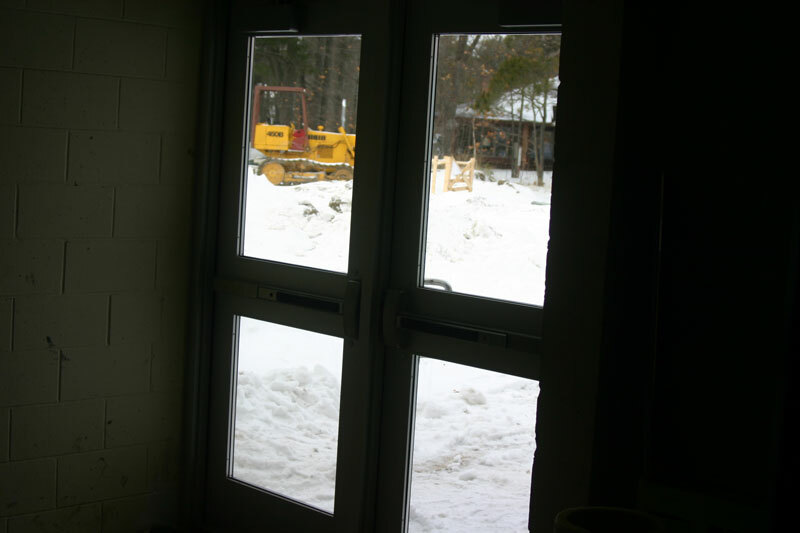 The main entrance to the building is starting to take shape. 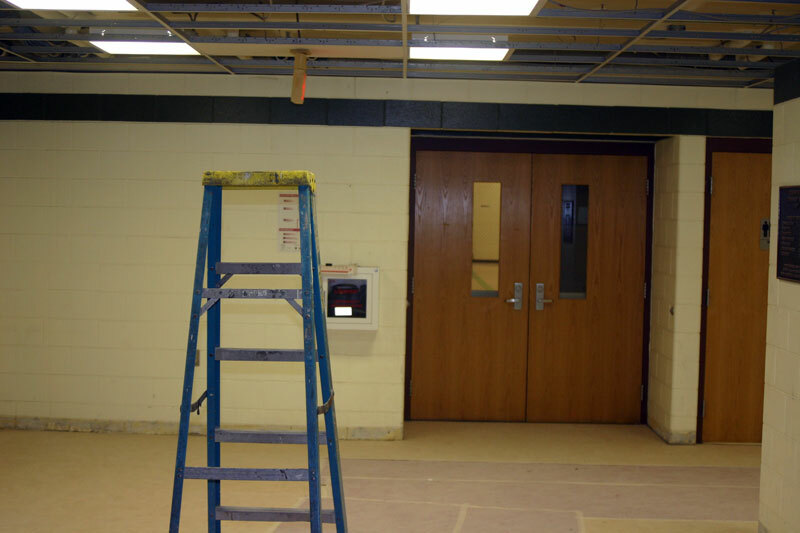 Thje high school rooms seem to be almost completed with just the electronics and computer work and ceiling tiles missing. 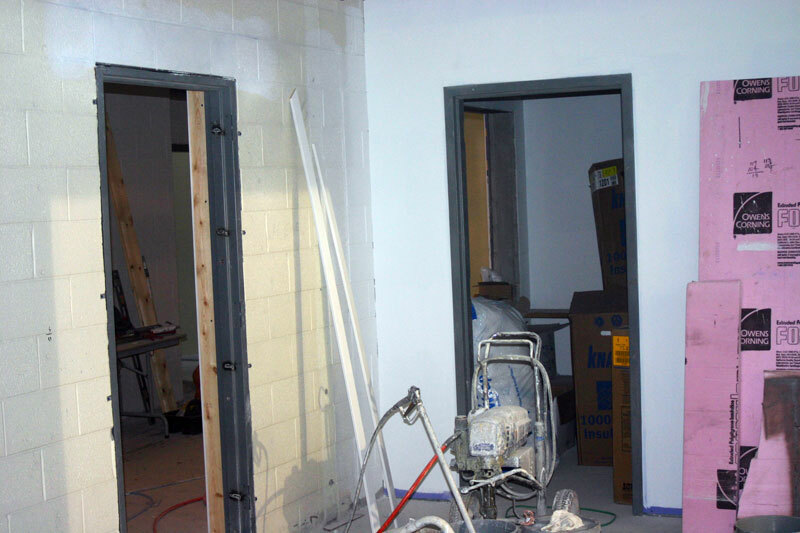 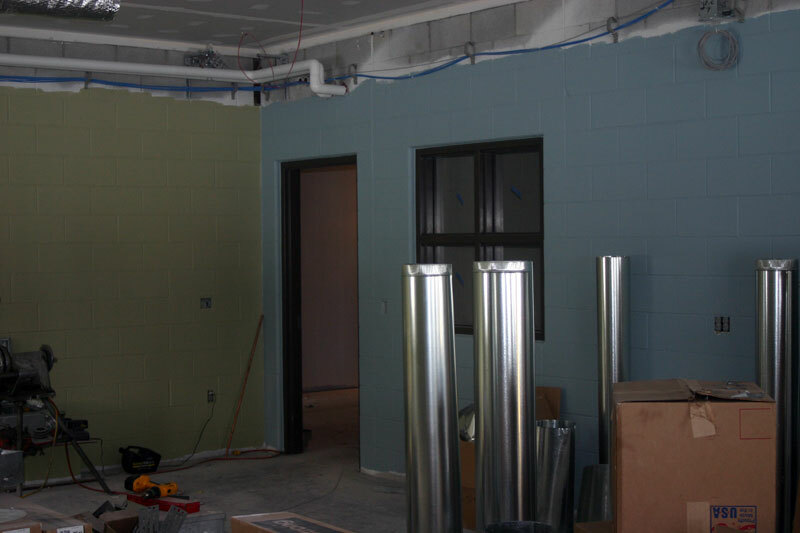 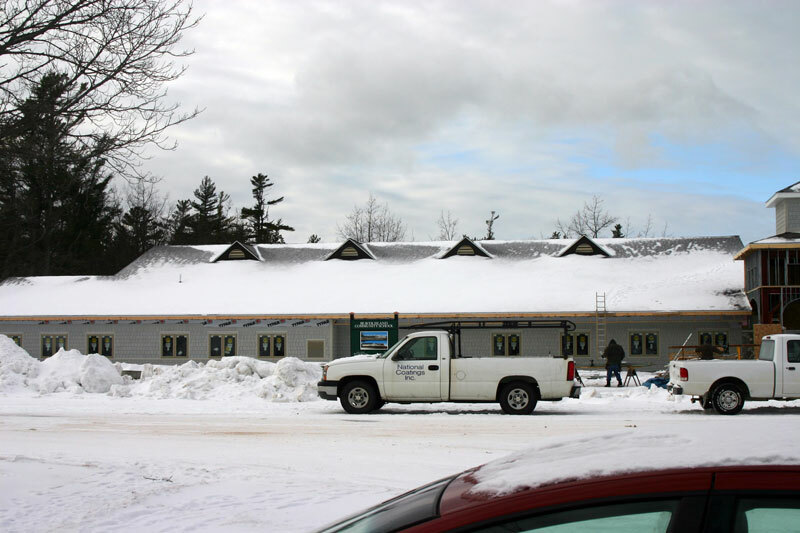 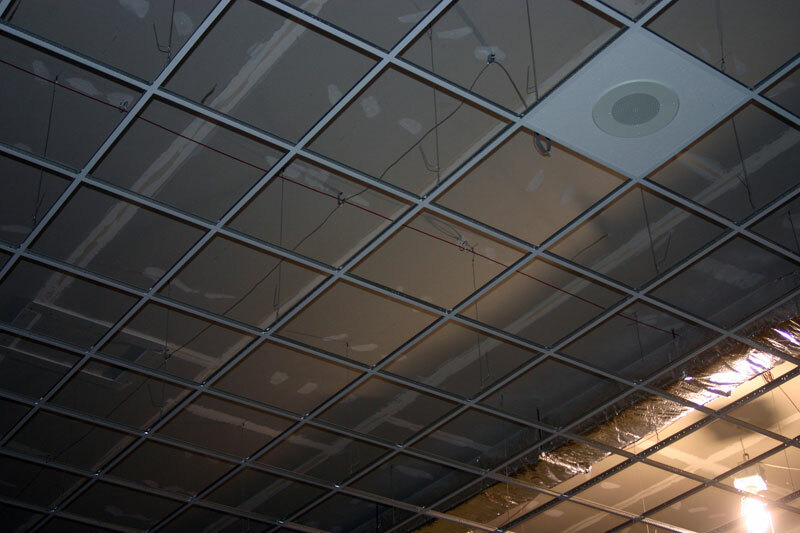 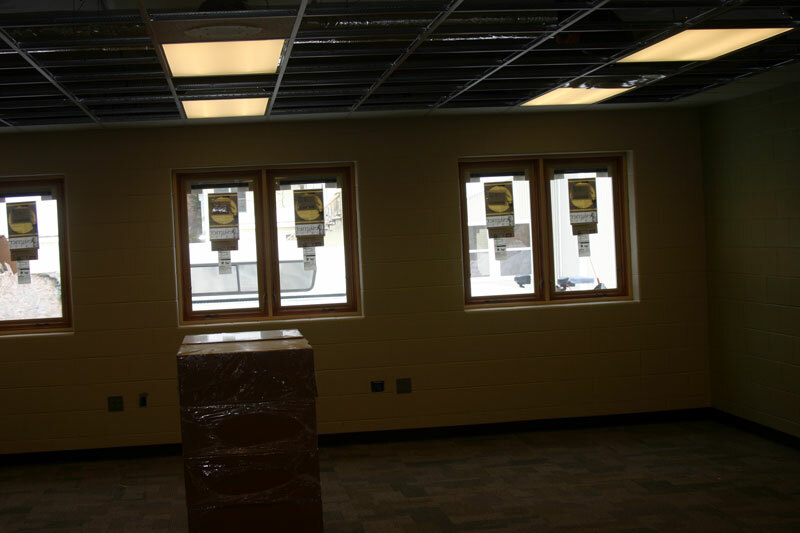 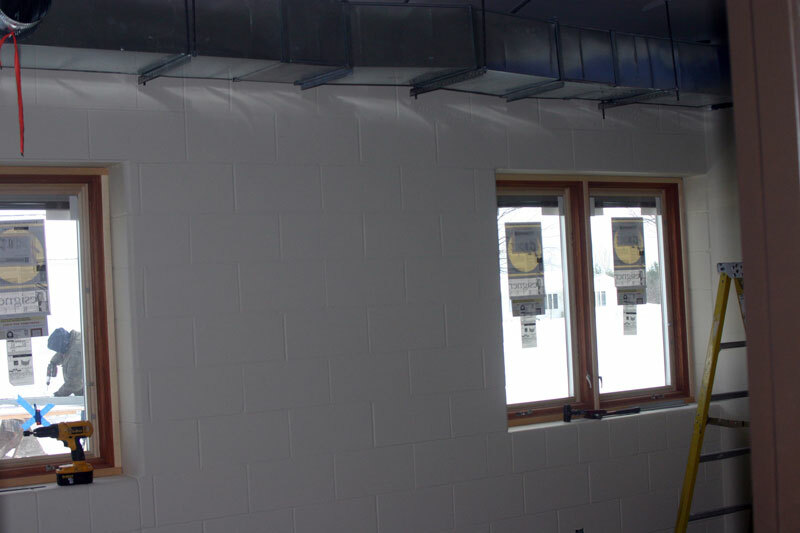 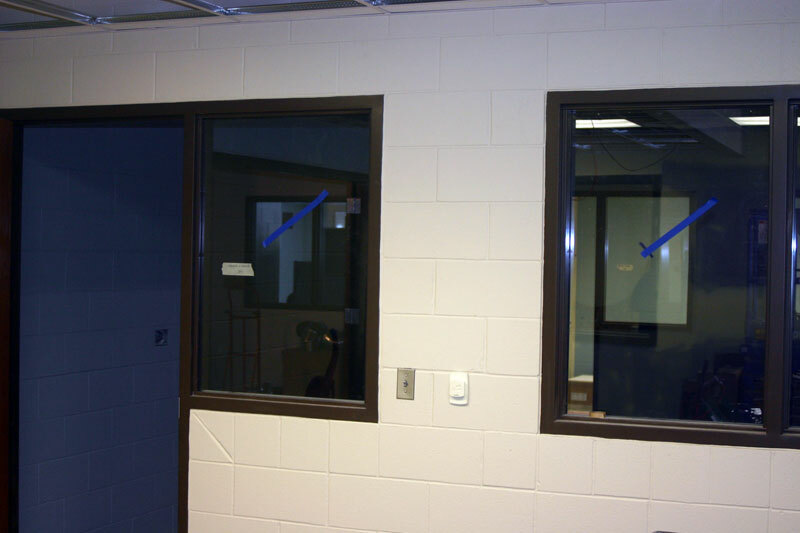 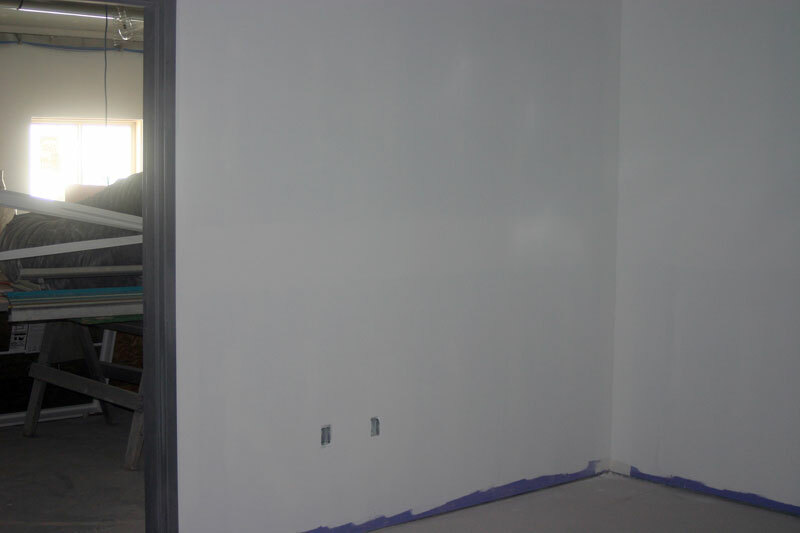 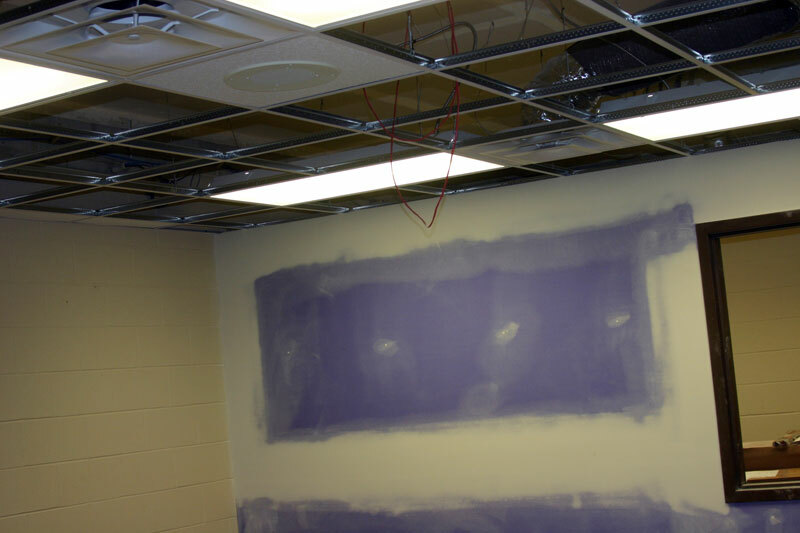 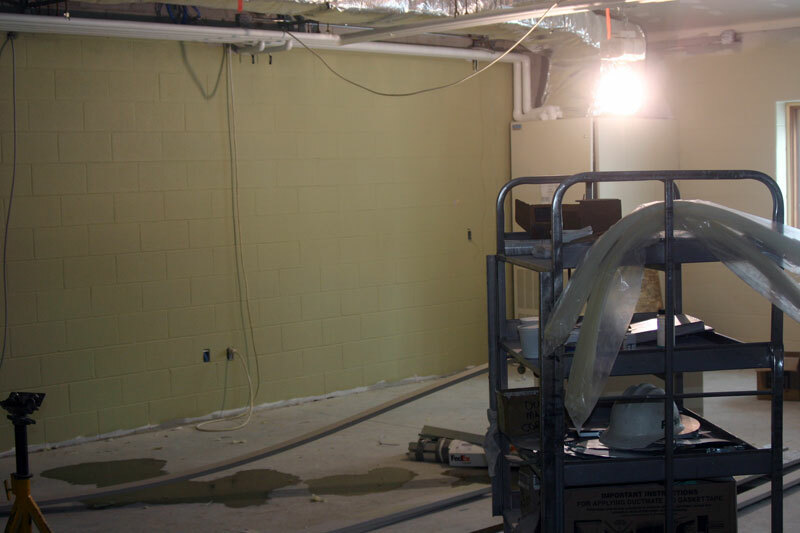 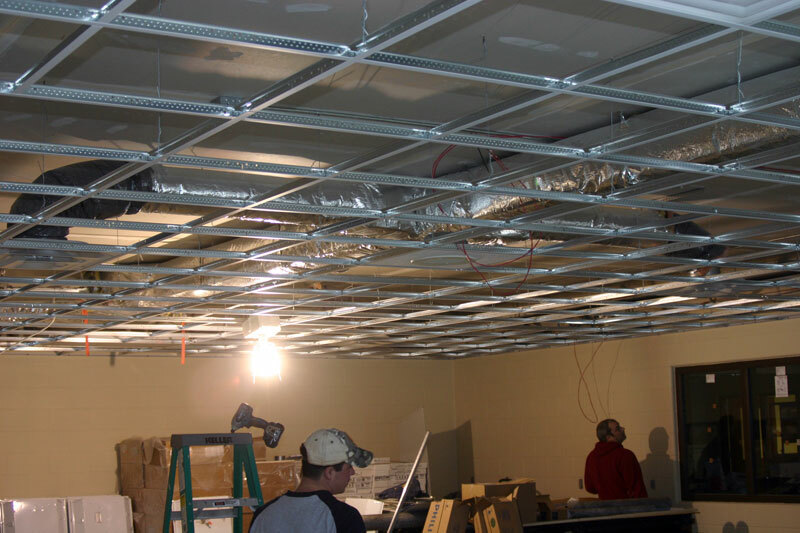 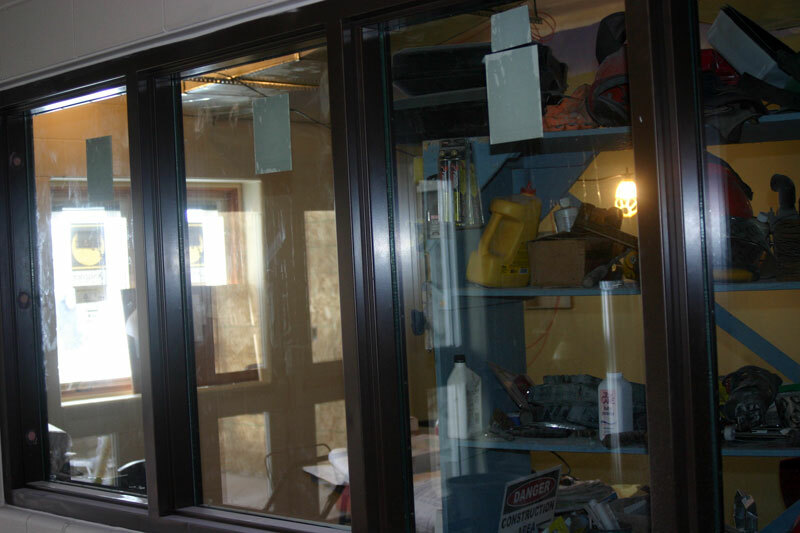 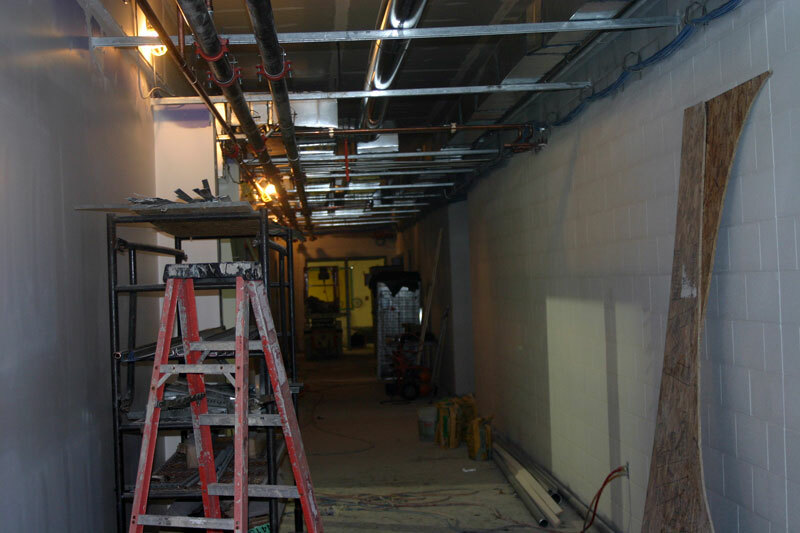 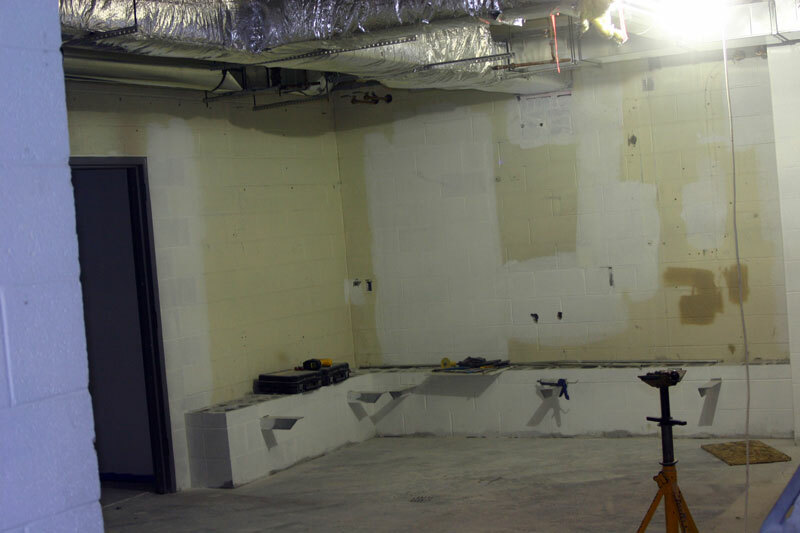 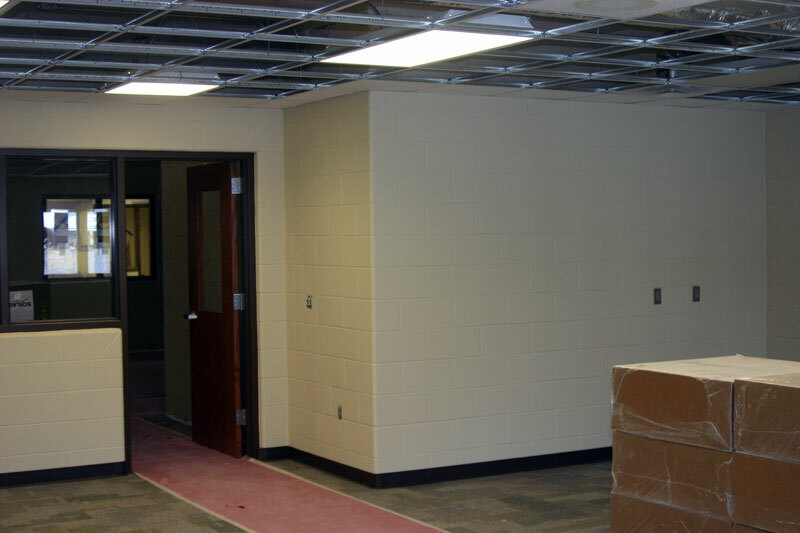 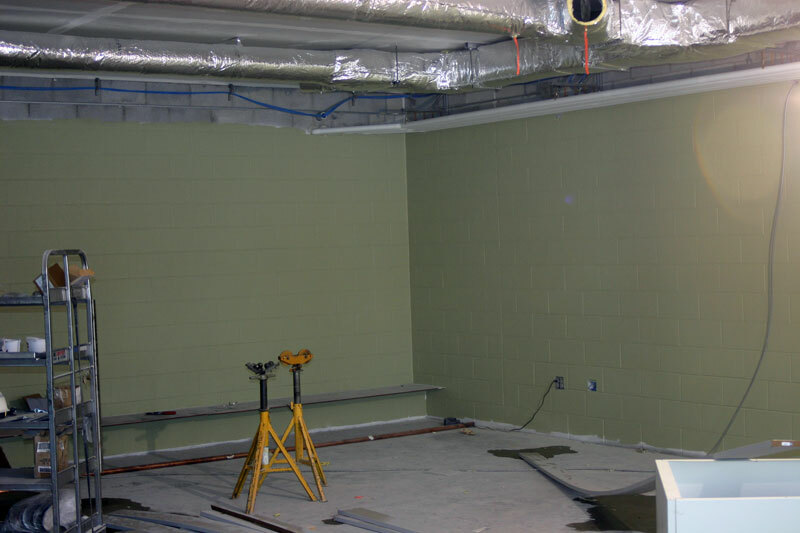 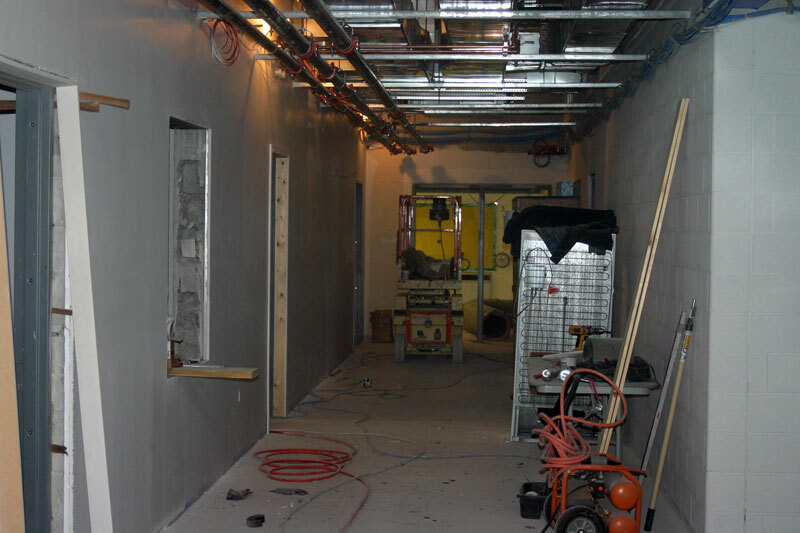 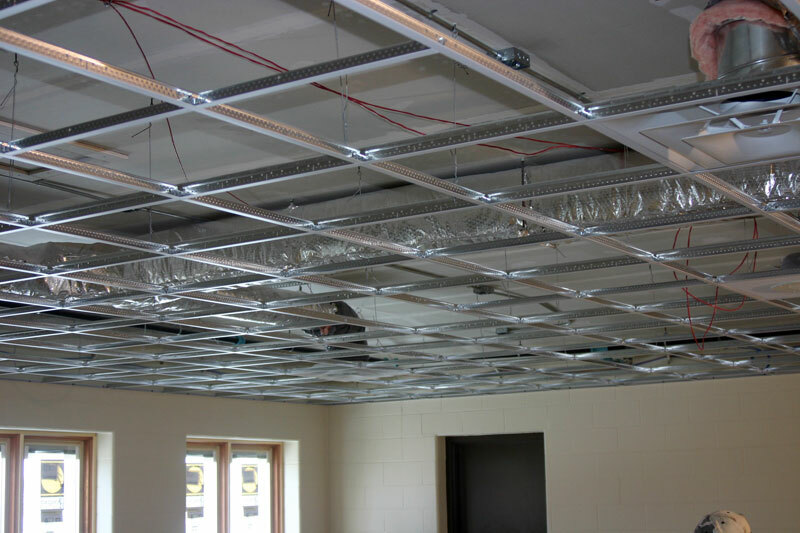 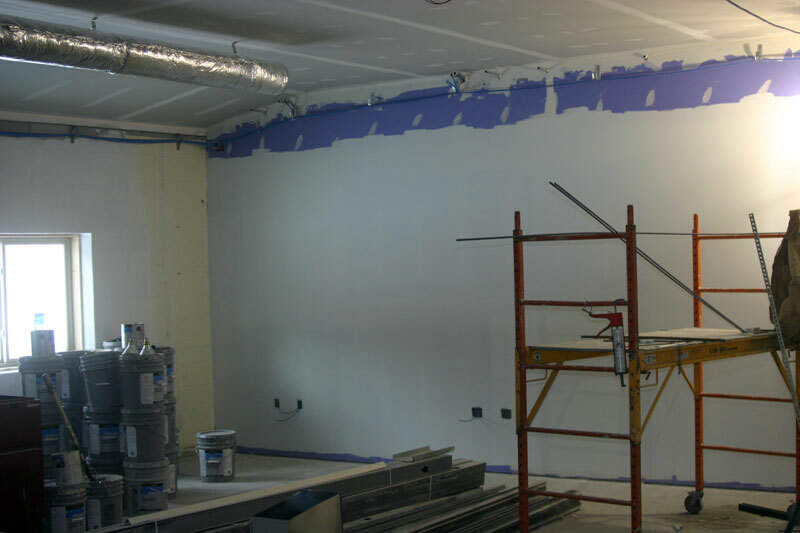 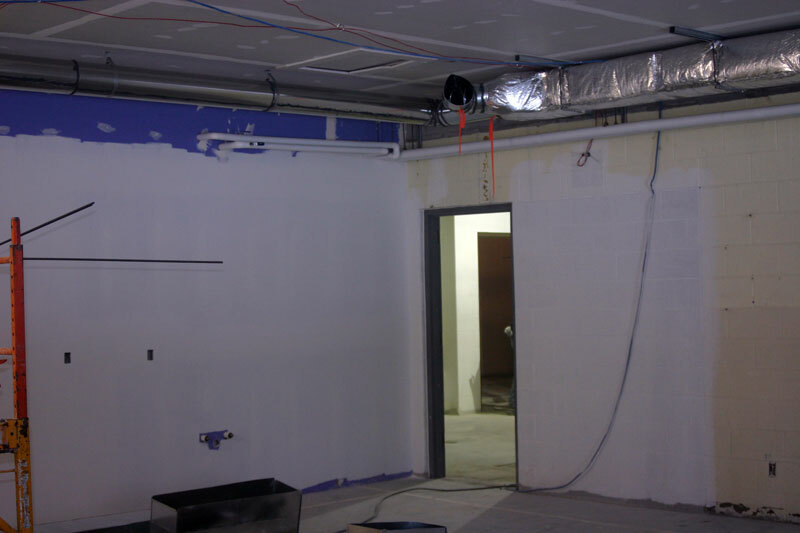 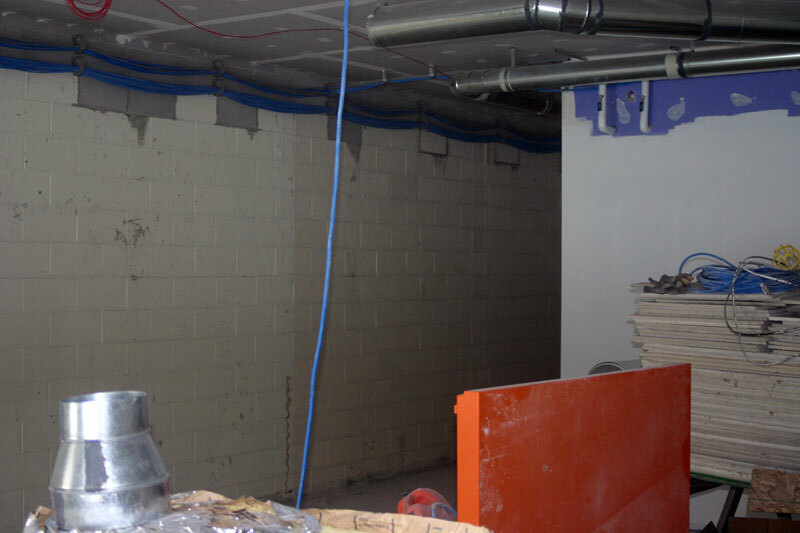 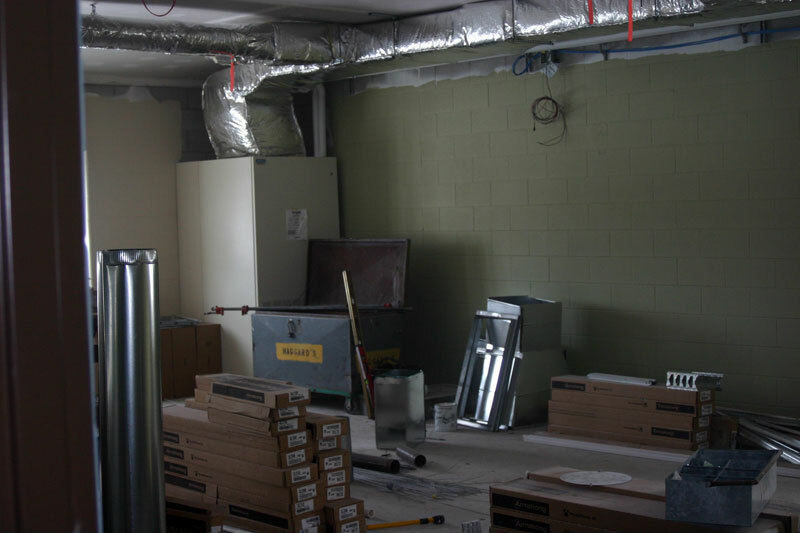 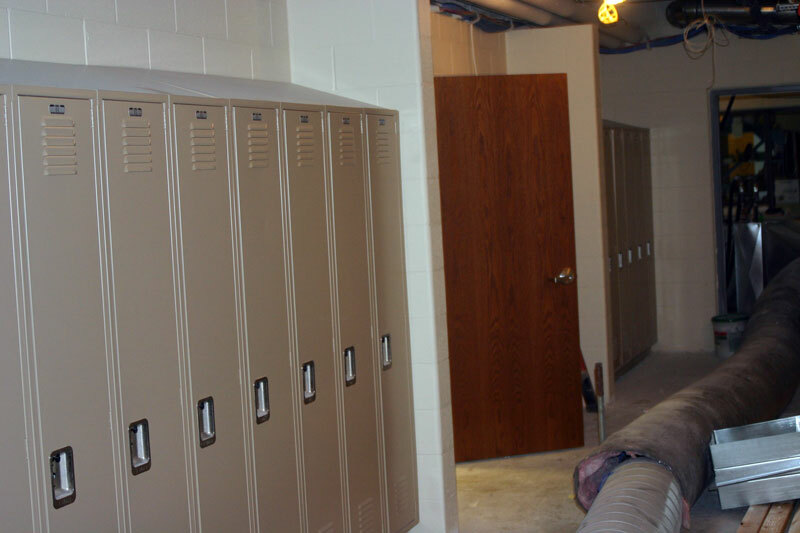 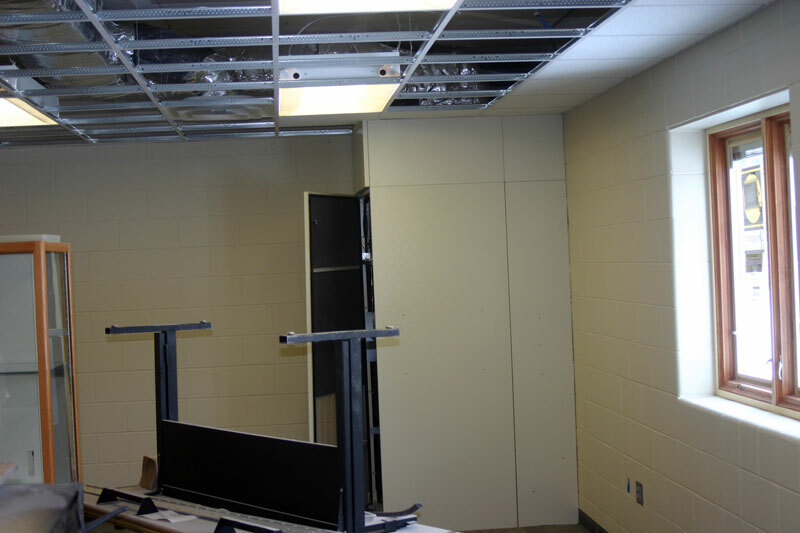 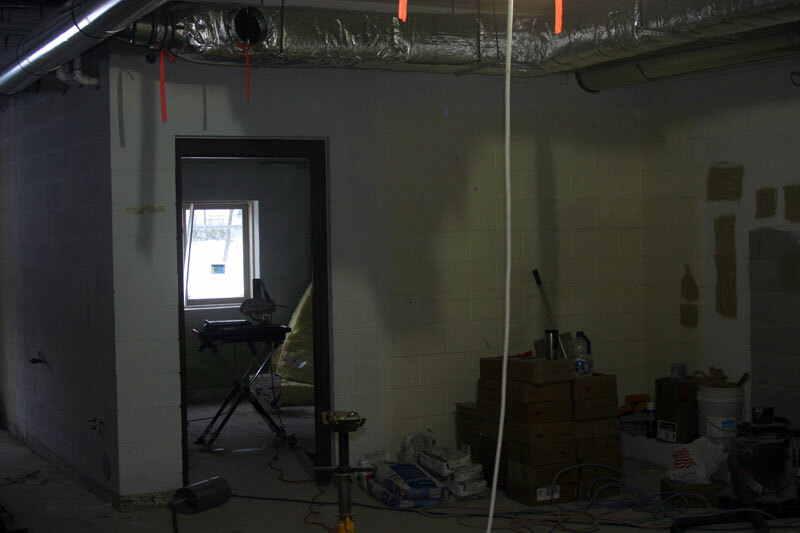 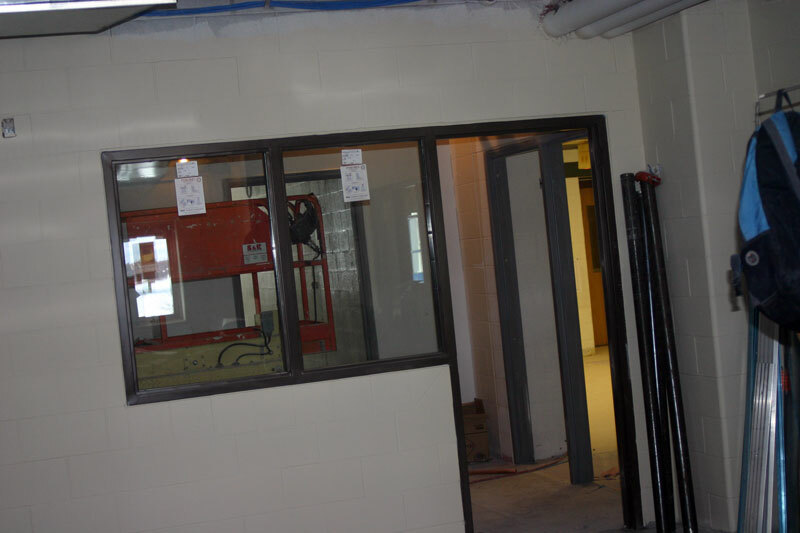 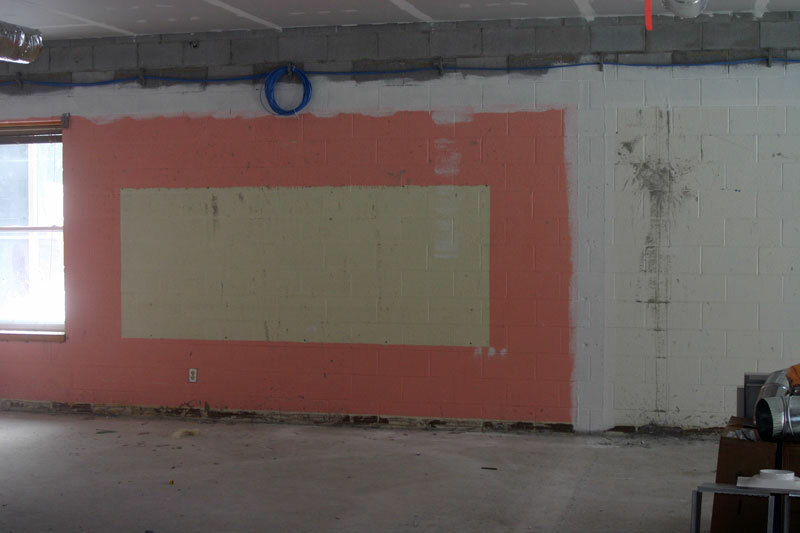 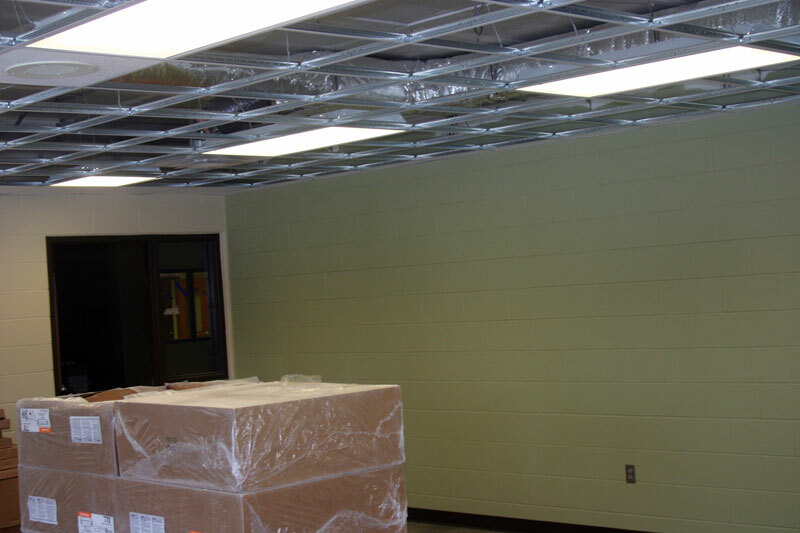 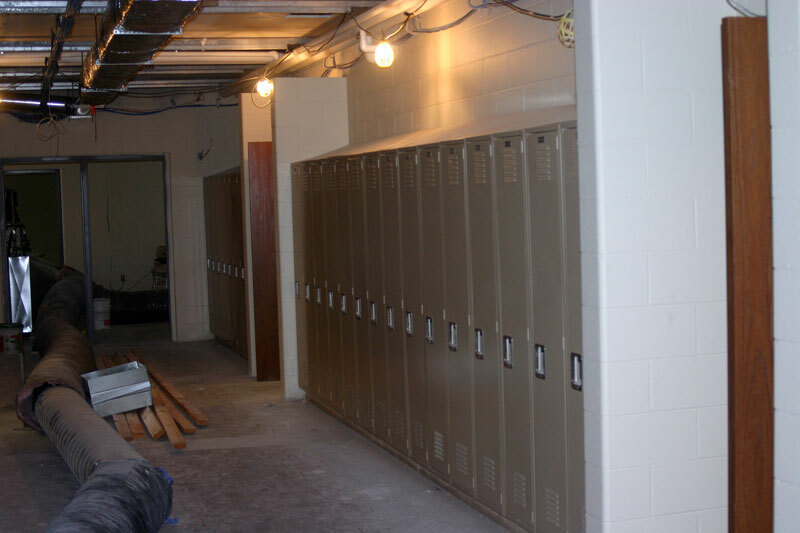 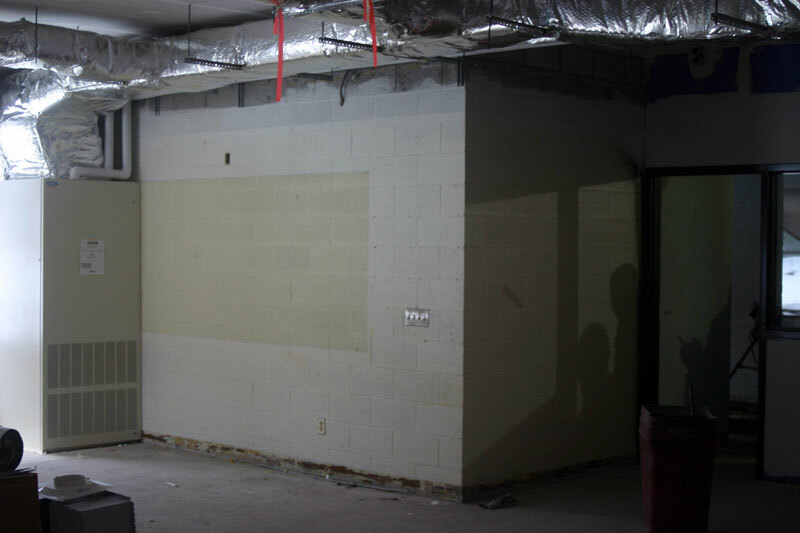 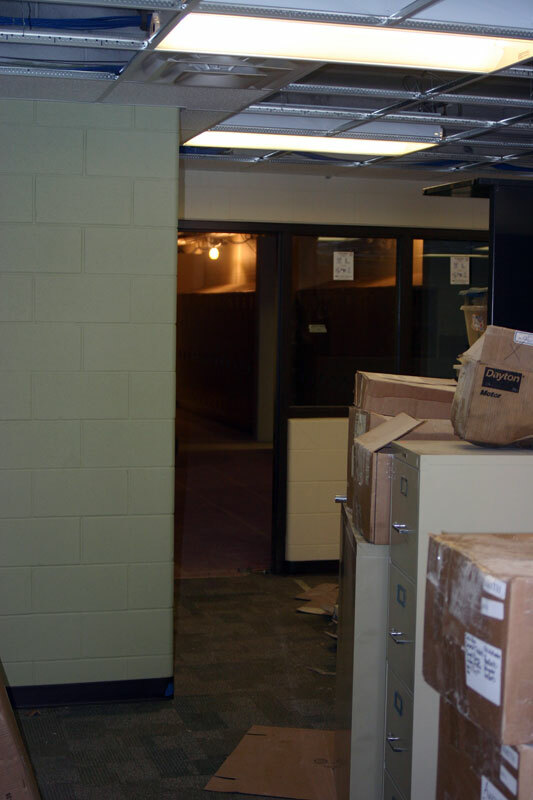 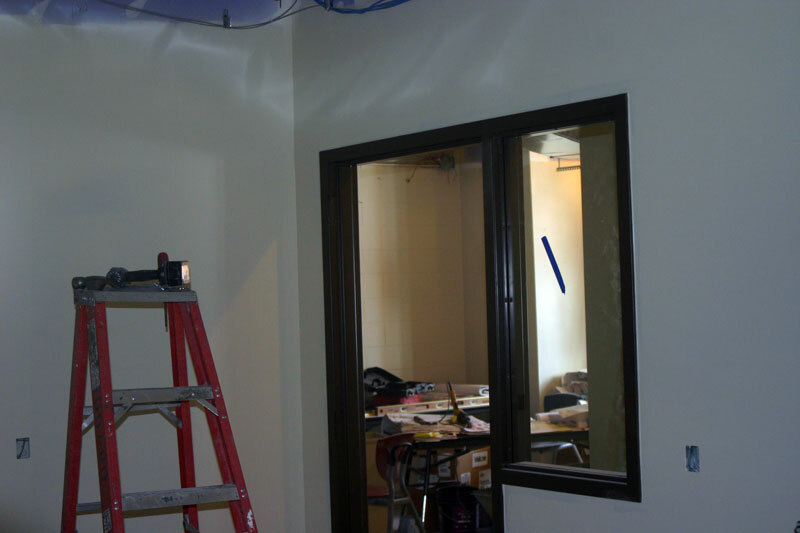 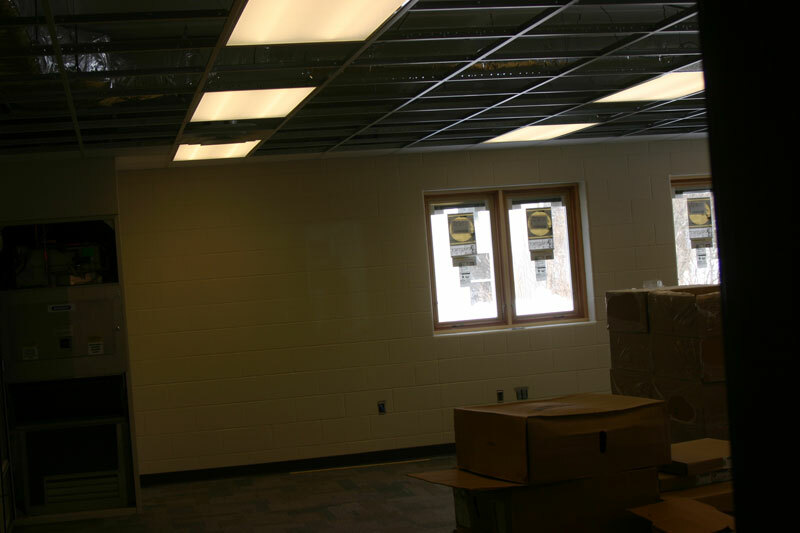 The ceiling grids for the high school rooms and the entryway are installed. 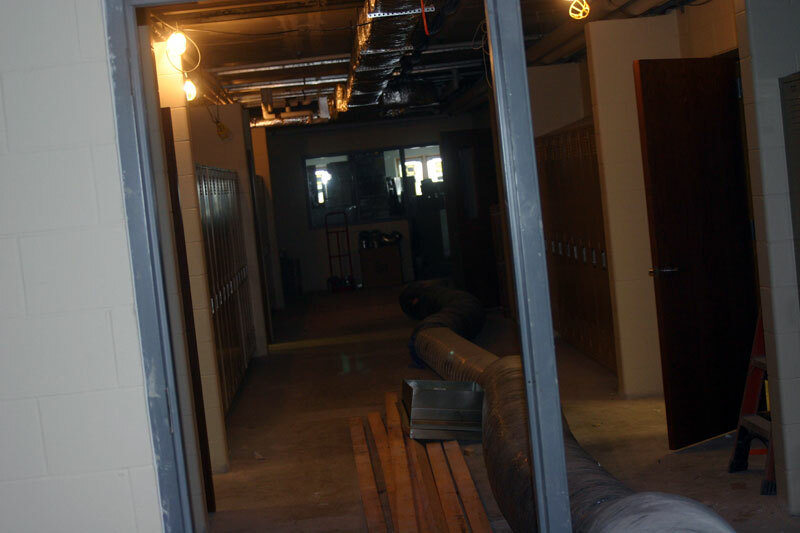 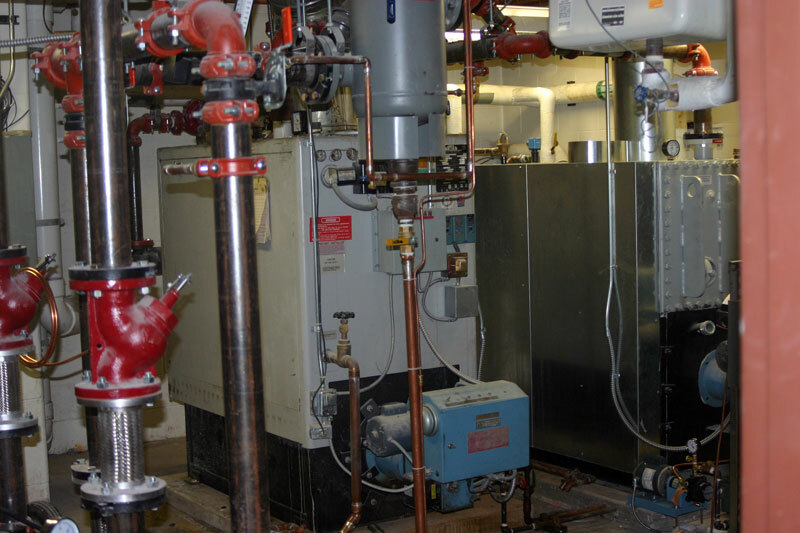 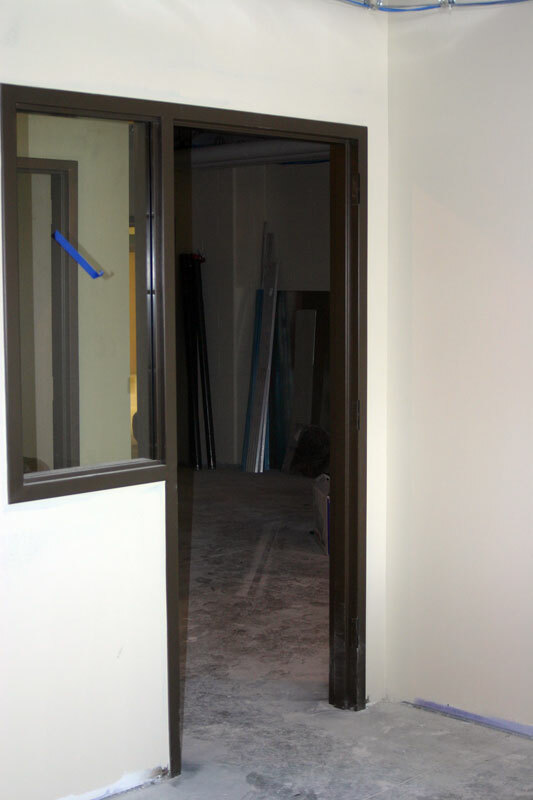 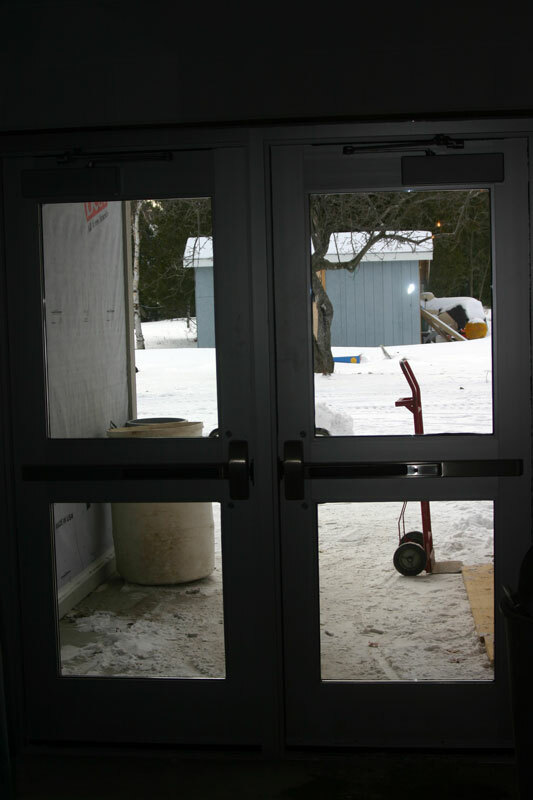 A look down the hallway toward the center part of the building.